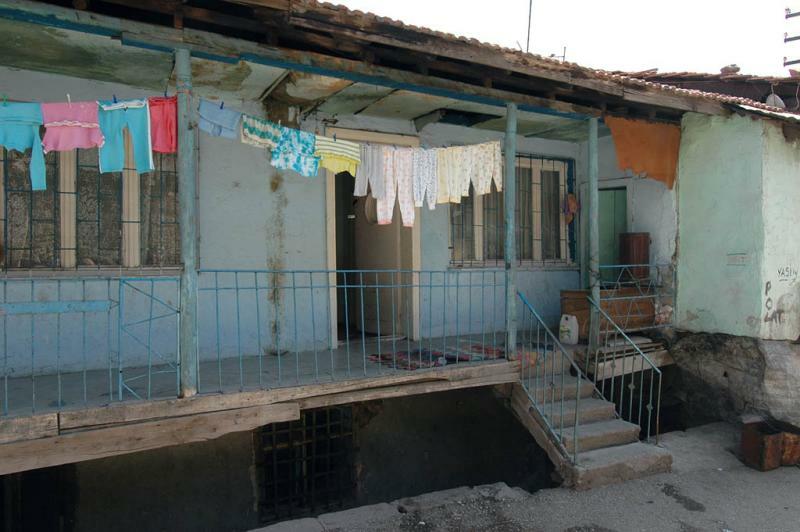 The houses are of the "gecekondu" type ("built overnight") but have been standing for tens of years by now. A surprising thing about Ankara, a major city, is that this type of house is peppered over several hills, not far off the city centre. This provides a strange mixture between modern big-city aspects and more rural aspects. If you prove that you are living in a particular estate for (let say 13 years I am not sure about the time) some time, you have the right to record tthat value on you. This encourages usurpation. Just for vote!! !